Spring Sprout dates are now over. Fall Sprout will be high school only. Please create an account on the website to receive more information about the program over the summer! When: Three Saturdays in the fall for 9-12th graders and in the spring for 7-8th graders. What: Sprout is a three-week program held on Saturdays. Classes will be offered in four time blocks. Core classes meet all three weeks of the program and electives meet just once. Choose whichever classes interest you, from a catalog of classes all taught by Yale students! Take a look at this Fall Sprout's course catalog to get an idea of the types of classes taught at our program. Please note that student registration is now closed. The three weeks of this program give students a chance to delve deeper into certain topics. As such, attendance at all three weeks of the program is mandatory. If you are unable to attend all program dates, please email us to see if you may still attend, or consider instead attending Splash, our one day program. We reserve the right to cancel the registrations of students whose schedules do not include classes on all three program days. How: Spring Sprout student registration will be opened later. Like us on Facebook to stay up to date on upcoming news and programs! Cost: The cost for the program is $45. Program lunch is included in the overall cost, while t-shirts will be available for $10. As always, full need-based financial aid is available. Payment should be made via credit card by the deadline unless an exception was requested by emailing yalesprout@gmail.com. Otherwise, there is a $10 fee for paying at the door. 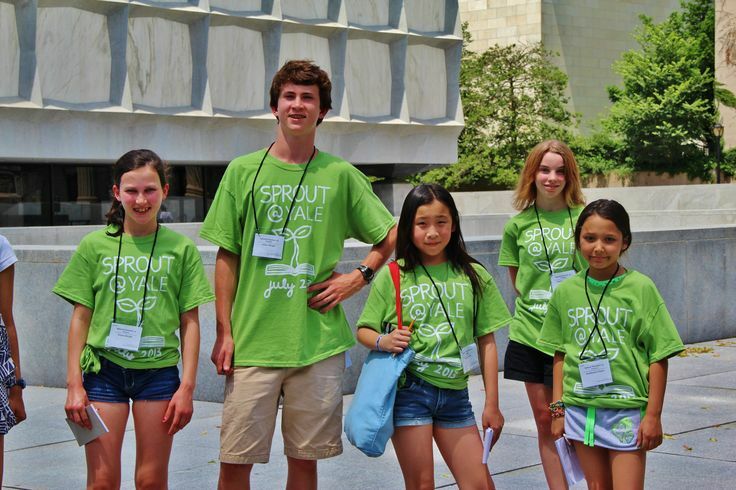 Program Registration: Anyone interested in Sprout at Yale (parents, teachers, community activists, potential students, etc.) can always create an account for our website. Just click here. By making an account, you will receive emails from us regarding our programs. Lunch: Every student will receive lunch on each day, unless they choose to opt out of lunch during registration. Vegetarian options are available, but students with other dietary needs should contact us and/or opt to bring their own lunch. Students may opt out of Sprout-provided lunch and choose to bring their own lunch on any/all program dates. Waivers: To attend the program, each student must bring a completed and signed waiver to the first day of the program. Waivers for students under age 18 and over age 18 can be accessed through student registration, once it opens. Dropoff: If you leave the program before 3:10 pm (when classes end), a parent or guardian must sign you out at the help desk. Reminder: students are not permitted to leave Sprout during the day (even to get lunch) without a parent or guardian. The designated pick-up spot for students leaving at the end of the day is the lawn outside of Leet Oliver Memorial Hall (LOM, 12 Hillhouse Avenue). Students who leave at the end of the day do not need to be signed out by a guardian. If you have any comments, questions, or suggestions, feel free to contact us. Last modified by jacklat on March 05, 2019 at 09:14 p.m.